We’ve got more tips for all of you Marvel Avengers Academy players out there, and this time, we shall be talking about getting items. But before we get to that, let’s give you a brief recap of the game for those who are playing it for the first time. 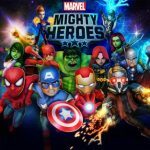 This game is from TinyCo, and is available for both Android and iOS devices, though it’s not the only Marvel-themed game out in the mobile space. 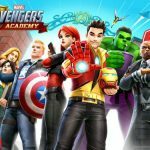 This particular game is unique because it’s a largely quest-based game where you’re in charge of creating an Avengers Academy for teenaged versions of Marvel’s Avengers, including Iron Man, the Incredible Hulk, Captain America, and others. 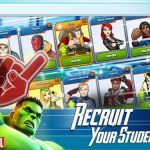 Now, that we’ve told you about the basics, let’s get to what we had intended to do in the first place – give you a Marvel Avengers Academy strategy guide to help you find items faster. Most of the time, it’s a long and arduous grind, but it doesn’t always have to be that way. This is the first and simplest tip we have to share to you, and it’s really self-explanatory, if you think about it. If a quest requires you to get a specific item or items, you should clear that quest, or quests first. If you’ve got at least two in line, then complete one of them and wait to see what the next quest in the progression would be. That can help reduce the waiting time, as well as give you a better chance of being offered a quest you need and/or want. Another important thing to take into account would be the length of the quest. Quests offer specific items as rewards would, more often than not, pull up quests that offer similar rewards. Choose the shorter replacement quests once you clear one of the quests that have the item you need, should you be given the choice of a heroic quest or a shorter one. Now, you may end up with a quest that leaves you seemingly no choice but to wait quite a while before you complete it. Worse of all, that quest might not have much to offer by way of rewards. If that’s the case, then go ahead and abandon that quest. Simply go to quest details and hit the trash can icon, and you’re good. You’ll then see a timer that prevents you from repeatedly refreshing quests, but you can always go back to another quest (if applicable) and see if you have better luck completing it, or abandoning/refreshing it. All in all, following these three tips is important, but there’s a bit of a luck factor involved here. But if you do luck out, then you can easily be getting a few items in less than half an hour, instead of getting the same amount of items over a span of six hours or more. Want more Marven Avengery Academy tips and tricks? Check out our collection of hints, which covers different aspects of the game.